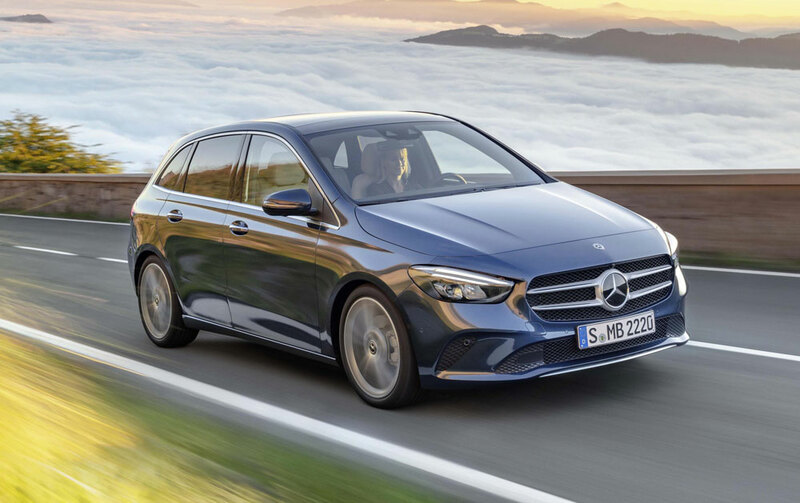 The new Mercedes-Benz B-Class has put the emphasis firmly on sport with the new Sports Tourer. The designers’ brief for the new B-Class was to make it stand out visually from a typical minivan. This was achieved with a look that is more dynamic and more agile on the road while offering greater levels of comfort than its predecessor. The relatively squat, progressive front end with flowing transition from bonnet to A-pillar and on to the windscreen, along with the muscular shoulder of the body, underlines the sporty overall look. The improved seat geometry and lower seat belt line make for an even more generous feeling of space than in the previous model. The driver sits 90 millimetres higher than in an A-Class, thus enjoying an especially good all-round view, also thanks to optimised cross-sections of the roof pillars, which obscure less of the surroundings making the new Mercedes-Benz B-Class now more practical than ever. For the first time, the B-Class is able to drive semi-autonomously in certain situations. To do so, it employs improved camera and radar systems to anticipate the traffic up to 500 metres ahead while using map and navigation data for assistance functions. The new B-Class comes as standard with extended Active Brake Assist, which can help mitigate the severity of rear-end collisions with slower-moving, stopping or stationary vehicles ahead, and now even with crossing pedestrians or cyclists, or prevent them altogether. Compared to its predecessor, the new B-Class is in all cases powered by new, efficient engines available in five variants and initially available exclusively with dual-clutch transmissions. The B 180 with 7G-DCT (dual clutch transmission), the B 200 with 7G-DCT, the B 180 d with 7G-DCT, the B 200 d with 8G-DCT and the B 220 d with 8G-DCT. The new diesel engine is lighter, more powerful and cleaner. Start of sales for the new B-Class is 3 December 2018, with delivery due to begin in February 2019.